Work related injuries are common occurrences in the modern world and they can lead to casualties and injuries. With respect to this, any employee who gets injured in the course of employment may be eligible for compensation. In some cases, the claims may be wrongly denied making employees ineligible for compensation. In such cases, an employee can go ahead and file for a personal injury lawsuit. To battle a denied claim, it’s pragmatic to seek the assistance of a professional workplace injury attorney for effective handling of all the legal issues. If the injury claims are valid, then an employee is liable for compensation and that leads us to the next question. What Compensation Are You Entitled To? Workplace injury may be a number of things, both physical and psychological. As a result, an individual who suffers from workplace injury is entitled to some form of compensation to aid in the recovery process. The types of compensation fall in two categories; the monetary losses and non-monetary losses. Lost Wages – As a result of workplace injuries, an employee may not be in a position to work any longer. This means that he or she is not in a position to earn income that would have been acquired if not injured. It is for this reason that some compensation must be made. Medical Expenses – The treatment of personal injuries may come with hefty medical bills due to x-rays, diagnostics, therapies and surgery. In cases where the employee cannot cater for the medical bills, he or she requires compensation to cover any medical expenses that may be incurred after the injury. Workplace injuries not only inflict physical injuries but also emotional and psychological ones. For this reason, none monetary compensation is essential. An individual who has suffered from a workplace injury is likely to suffer from some psychological trauma and emotional stress. As a result, compensation will help the victim overcome some of the emotional stress and duress associated with the injury. 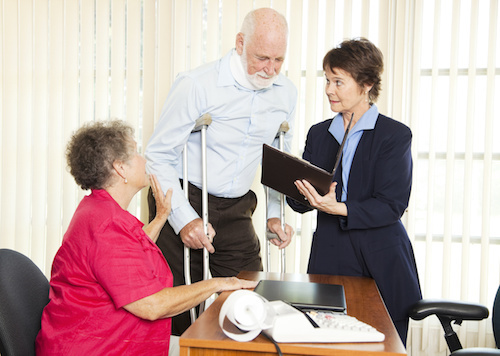 If you are to receive compensation for your injury claims, it is important to look for a competent attorney. Make sure to check their credentials. Some of these credentials means that they are professionally qualified, validly licensed and consistency in track record. These are credentials that can help you settle on the best workplace injury lawyer.